Only a Mother were something very, very different. Theirs was a most revolutionary combination of ear-bending musical satires with highly unusual arrangements incorporating instruments from marching bands, rural backyards and the philharmonic halls. Although many bands claimed to be cognizant of small town America’s musical traditions, Only a Mother were the wittiest, sharpest and most iconoclastic of them all. Back in the 1980s, only Eugene Chadbourne attempted to provide a similarly detached social commentary by rewriting the history of America’s non-academic, white music. Frank Pahl from Michigan began to perform under the OAM moniker in the mid-1980s. Despite a nebulous character of the formation, whose line-up overlapped with several other Midwestern bands, the basic core coalesced around Pahl with exceptionally talented multi-instrumentalist Marco Novachcoff, violinist Mary Richards, bassist Bobbi Benson and percussionist Doug Gourlay. The quintet was ahead of the game in their pleasing syncretism. From medieval troubadour themes, through atonal improvisations for percussion to short folk sketches for toy instruments, Only a Mother never failed to generate a sense of fun – which is remarkable given the frequently morbid lyrics in their quixotic “songs”. A spontaneous assortment of shawms, ocarinas and whistles produces a multi-reed, inconsequentially tossed-up microcosm. Frank Pahl appears as a super rapid singer, agonizing over bizarre misadventures of a young hitch-hiker. It is unclear if autobiographical reminiscences mix freely with fantasy, or vice-versa… For a relatively simply structured song, the acoustic orchestration is sumptuous – replete with flutes, clarinets, harmonium and a chorus. When Mary Richards fiddles adroitly her descending notes we discover with some surprise that the tune is actually a waltz… There is some affinity here with small choral works of Marek Grechuta, but given the light years that separate these artists, this could be little more here than accidental convergence, not a quotation. The instrumental track opens with a bellowing violin à la Art Bears and crumpled percussion (is this the “sheet metal wakka” from the liner notes?). Pumped up by Bobbi Benson’s comical double bass, this miniature is bluegrassy in all but its name and unusual instrumentation – complete with two organs and mandolin. The high-pitch violin, placed here in unison with Marko Novachcoff’s harmonica has something of a hirsute, rural quality fondly remembered from Bob Dylan’s “Desire” (1975). Although the acoustic bass keeps the band in pace, it all sounds wonderfully makeshift and ramshackle. This could be a train song, were it not for its ironic grit and the notation that makes it “anti-country”. This ode to provincial boredom is all the more truculent and trenchant thanks to cello’s raspy sul tasto. The acerbic, biting irony (“ain’t a question of what you know, It is who you know that counts”) is almost tragicomic. In a complete change of emotional spectrum, the band invites us to a medieval dance. Irish recorder and Mary Richards’ astral vocals bring back the memories of Pentangle, Trees or Trader Horne. This is medievalism at its most profane, a Carolingian feast within an earshot from the nearest campanile. The timbres are appropriately selected – flute, bass viola, mandolin, melodica and a simple triangle. In between, a more virtuosic, frictionless violin fast forwards the atmosphere by a couple of hundred years. The entire band appears on percussion instruments in what apparently is an ‘ancient track of unknown origin’, assembled by Doug Gourley. The topsy-turvy tuning approaches Harry Partch’s idiosyncratic experiments, although Frank Pahl & Co remain far more unassuming in their endeavor. The racket is further augmented by horns brought from a sports arena and a toy xylophone. This could be a country-and-western ballad, nonsensical, iconoclastic and fed with the staple of acoustic guitars, mandolin and violin. This last instrument evokes again the aforementioned “Desire” – in articulation rather than intention. The band maintains a distance to the codified Nashville formula, not least thanks to the second-dimension lyrics. Pahl does not try to force a Southern twang and operates in unashamedly nasal Midwestern accent. Bass clarinet, out of its philharmonic element, overlays a woody chalumeau tone. The final vocal roar and a guitar clink chop off this welcome musical heresy. Marko Novacchoff’s farting bassoon harmonizes dryly for the rest of the band. Soon Mary Richards lurches out and hysterically yelps out some necrophiliac story. Her convulsive drama reaches out for the upper registers, but some stabilizing decency emanates from the lower range occupied by woodwinds. The “song” advances by fits and starts with basso ‘humungo’ and bassoon picking up the pieces here and there. Haunted vocalizing and the brassy “percussion” workshop accompany the messily strummed guitars and mandolins. This is another of those anarchic pseudo-country numbers. Nervous guffaws and whistling introduce Ken Stanley’s text ridiculing advice fossilized in old proverbs. Like a Pandora’s Box of giggling dwarfs that got out of control, the clownish song hops and pops… Pahl wields his mandolin, strumming along with abandon. There is probably more chortling per square foot here than on Frank Zappa’s momentous “Lumpy Gravy”. Another “medieval” track, but this time with a multi-storied tapestry of rococo arrangements (string trio, harmonium and cymbal). The idea is alluringly simple – the melody flows, bursts out with the cymbal and bass drum, and then returns to the violin line. Only the vacuum-filling mandolin is reminding us that these are Midwestern cornfields, not than a French conservatory. This simple, working class ballad is initiated with predictably Spartan instrumentation – over-reliant on Novachcoff’s harmonica. It sports a typical structure – two stanzas, a round-off-it-all refrain with intensifying dynamic and a smoother instrumental bridge to another stanza. The music is so overly conservative that only the socially critical text (referring to the 1980 attempt on Reagan’s life) prevents listeners’ gullibility. This is the second of those ‘Harry Partch’ moments on the record. Although Only a Mother lack Partch’s ‘spoils of war’ or his ‘chromelodeon’, they the click, clack, tick-tac and occasionally scrunge awright (don’t get a wrong impression. Sonic Asymmetry is fanatically fond of Harry Partch’s music). At the outset, Doug Gourlay treats us to the rainy shimmer from a palo de agua (now, that must have been at least as simple as the title, we presume). The rest of the band will combine the inputs from harmonium, cello, violin and acoustic bass into a tuneful song with vocal parts jackknifed octaves apart (Pahl and Richards). Critical of middle America’s self-satisfied solipsism, the song has a wonderfully anti-professional, or at least-anti-academic feel, despite the seductive melody line. The long coda descends the scale with determination. A richly percussive moment of atonality, covered with animal-like calls from valved eccentricity of euphonium and extendaphone. Climactic shouting precludes any development. 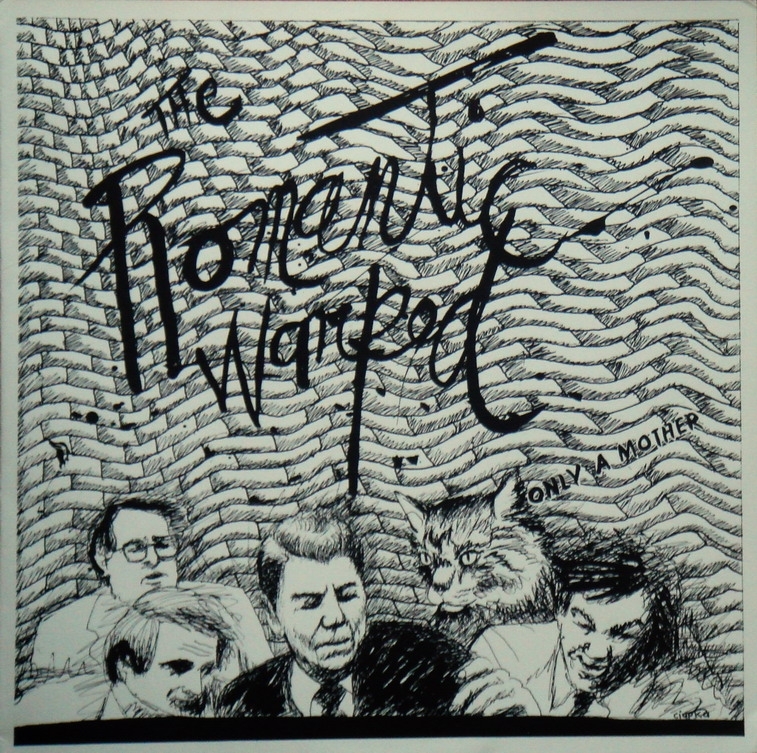 The band’s first two LPs are the classics of the genre – “Romantic Warped” being probably the more folky of the two. “Naked Songs for Contortionists” reworked some of the earlier material. I have not heard the last two positions listed here. Before donning the hat of a one-man-orchestra, Frank Pahl began his solo career frequently supported by his companions from Only a Mother. Certainly the early efforts, as well as “The Back of Beyond” are highly recommended. I have never heard “Loose Threads”. Pahl also appears in Scavenger Quartet, a more sedate and developed affair with little relationship to the sophisticated enthusiasm of the early days. Little Bang Theory is a new and promising adventure for toy instruments. Only a Mother can also be found on “Studio Animals” and “Bad Alchemy Nr.11”. Frank Pahl’s compositions appeared on “Passed Normal, vol.5”, “Haikus urbains”, and “Musique du jouet”. By the mid-1980s, Wayne Horvitz (keyboards), Butch Morris (cornet) and Robert Previte (drums) were household names on the downtown NY scene. Morris had recently explored the trio format with two other musicians, combining his astral, satiny cornet pitch with the electronic soundscapes generated by traditional instruments. Together with Horvitz and Previte, he decided to juxtapose his glacially restrained style with polycentric contributions on piano, keyboards, marimba and drums. The results were unusual. 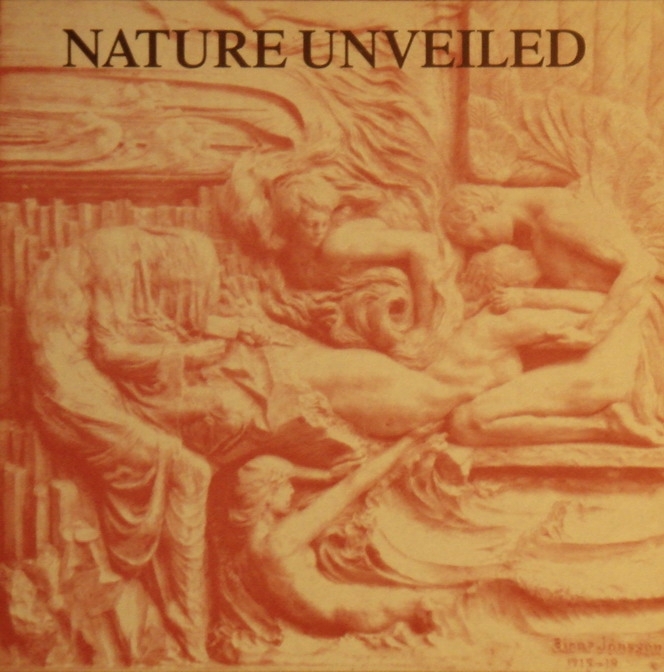 The lethargic pace of the recordings induced critics to seek polar metaphors, which could have been induced by the cover art that adorned the LP. But if the arctic vocabulary applies, then it is in the unexpected reflections, twinkles and glows that catch up with an attentive listener with lagged irregularity. The results of the encounter between the three musicians barely carried any similarities to their contemporaneous activity. Horvitz had spent most of his time perfecting saccharine keyboard vignettes and leading unassertive pop-jazz combos. Morris’s records were dominated by ambitious but disorienting scores for large-scale timbral ensembles. Previte uncharacteristically hesitated between baroque jazz and industrial soundscapes. Since the 1980s, all the three musicians have enjoyed illustrious careers, bifurcating from the no man’s land of “Nine Below Zero” into more easily defined pop rock jazz (Horvitz), orchestral scores (Morris) and eclectic jazz formats (Previte). Muted cornet’s nasal sound opens the record, soon retooled into bright, full tone accompanied by acoustic piano. Percussive contribution languishes, never too eager to catch up, while spiraling electronics flourishes diffusely. The aggregation of loud acoustic piano chords and electronic spiderweb calls to mind some of Heiner Goebbels’s sonic canvases from that era. Butch Morris extracts duck-like squawks from the cornet – just enough to bite through electronic hissing and shuffling headwinds. Bobby Previte’s accents on drums follow close upon the piano’s rare, but decisive chords. He focuses alternatively on a buzzy snare drum or on hollow, dark skins treated with mallets. Then a marimba begins its clockwise regularity, bringing order to this smattering of electronic sizzles and swizzles. The piano and the drumset are then snuffed out and DX-7 appears. This was one of the most popular digital synthesizers in the 1980s – here endowed with timbales “voice”. The DX-7 has a much shorter resonance than “real” timbales and allows Horvitz to improvise over the marimba’s gamelanic ornaments. A wake-up call from the cornet and ringing electronic stridence, braying like an antique doll. The DX-7 dominates here again in terms of both tone projection and velocity. The veiled, muted cornet squabbles with this synthesized double helix and Wayne Horvitz re-emerges confidently on amplified piano. A circular rhythm surfaces briefly, but is shut out by the bubbly, squeakly, disconcerting bush of microtones. 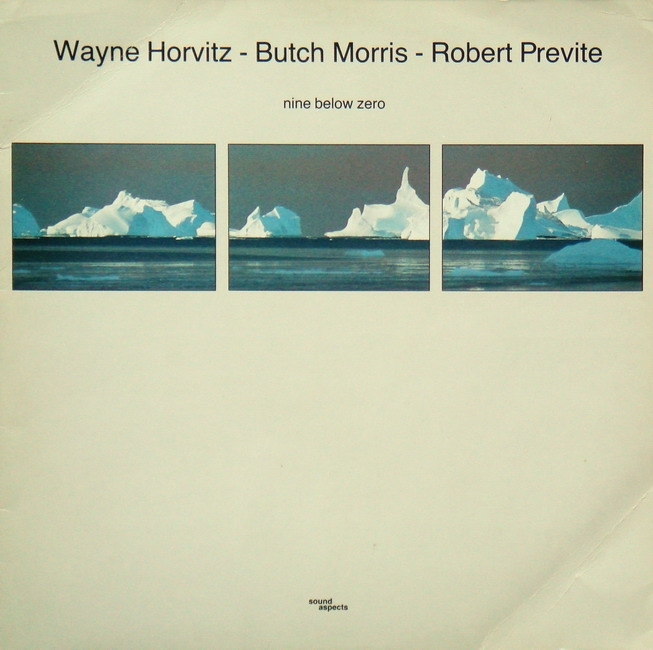 The low range is protected by Previte’s tympani, while Morris spends most of his time on sustained notes that are so muted that his instrument nearly achieves a trombone-like, corky tonality. In less dynamic moments, his cornet sounds more like a round, mellower fluegelhorn, soaring above a dissolving, melting, amplified piano. This is the first of Robin Holcomb’s compositions in this collection. It opens with acoustic piano (how else?) and a glass-like note that after a brief pause proves to be a shade of cornet. This time, the electronic sweep is very discrete, limited to a sparse, dotted, bass line. Henceforth, we are mostly served with a duo for a hesitant cornet and a vacillating piano. Horvitz and Morris do not really play with each other, but rather listen (…) and then respond (…), aided occasionally by the near-infrasound of some electronic discretion. Scraps of melody are fidgety until a childlike piano figure ushers in the full-tone, bright cornet. They strut along, distinguished and monumental, before we realize that this is but a coda of a formally unbalanced composition. A Gerswhinesque piano theme looms up inconsolable, only to be crowded by other, more talkative partners – a garrulous piano and a loquacious synthesizer. Then a repetitive, syncopated theme appears from the entire trio, with dry skin rattle and some marimba patter. It is an unhurried affair, always ready to stop over on a brownstone’s porch and look idly across a sun-drenched alley. So much for the Arctic imagery? Roland drum machine, coupled with real drums throw the lost cornet and piano into a torrent of hyper-rapid progressions worth of David Van Tiegham’s early videos. From today’s perspective it is hard to comprehend that fascination with in-human rhythms that left scars on many 1980s’ recordings. Interestingly however, the interplay between the man and the machine on this track actually pays off. Morris spins around without suffering vertigoes and Previte’s cymbals add an anthropogenic slant to the otherwise predictable setting. This is DX-7 at its most lyrical and romantic. The synthesizer’s duo with marimba sketches a beautiful song as if lifted from a music box discovered in the dusty attic. Perched against microscopic marimba rolls, Morris’s improvisation is like a modal update on 1950’s cool jazz. Tantalizingly idyllic and evanescent, the trio abandons us in our longing for the melancholic, defining top seven notes from any of the three main actors: marimba, DX-7 or the cornet. The belatedly recurrent motif is the strongest moment on the record. Martial drumming changes the setting. Cavernous electronics croons eerily while a taped, disfigured, amplified piano slows down in mid-tempo. Contorted cornet and prepared piano strings occasionally ooze through the ghastly croon. Finally a high-voltage crack from the rhythm machine extinguishes this turbulent fragment. Another of Robin Holcomb’s non-linear compositions. Her manner of writing melodic piano tunes with shifting tempos is in full evidence here, prefiguring her monumental “Larks They Crazy” LP, two years later. Robert Previte adds some shades of grey with his brushwork touches on the otherwise nocturnal, inert, almost amnesiac theme. We are never certain if the main axis will recur and this frustrated expectation of the familiar chord progression forces us to focus on the irregularity of silences and pauses. Like a mouse in a labyrinth, the track always finds a way out and proceeds with more vigor, making it a variegated, rather than simply anemic exploration. Holcomb’s writing is so strong that it is not surprising that the trio soon decided to pursue the adventure using her compositions. The trio appeared only on two recordings, replicating the formula on “Todos Santos”, entirely devoted to Robin Holcomb’s compositions. Butch Morris had previously appeared in a similarly restrained collection of aural sculptures with electric guitar and trombone. Those who would like to explore these artists’ other recordings should keep in mind that they bear no relation to the music described here. Robin Holcomb’s piano songbooks of the era were collected on two LPs. Wayne Horvitz (Holcomb’s husband) once admitted that he would sacrifice his little finger to become as accomplished a composer as his wife. Guernica was a result of Koji Ueno’s lucid imagination. In partnership with lyricist Keiichi Ohta and pop-chanteuse Jun Togawa, Ueno produced a series of unforgettable recordings in the early 1980s. Adopting a moniker from Picasso’s largest canvas, Ueno’s art focused on tongue-in-cheek modernist revival, the praise of machinery, speed and technological progress. However, contrary to the then reigning coryphées of industrialism, Guernica’s music is eternally optimistic, vivacious, euphoric. Jun Togawa’s über-versatile voice mauls any pretence of seriousness even for those who cannot understand Ohta’s ironic lyrics. Togawa shifts effortlessly between malice and hysteria, between operatic arias and coquettish winks. These modernist manifestos and art-deco stylistics could have been a worn-out pander to a retro wave, but for rock avant-garde, they were a terra nova, soon abandoned like Greenland’s first settlements. No one has ventured there since. Jun Togawa pursued her career as an overly eccentric TV personality and became widely disliked by Japan’s mainstream public. As we are nearing the end of the oil era, the outside world has yet to discover these inspired and refined statements from a quarter of a century ago. A jolting, uptempo chamber orchestra welcomes us to the phantasmagoric world of 1920s. Conducted by Hiroshi Kumagai and programmed by Tatsuya Satoh, the aerodynamic string nonet includes six violins, two violas and a double bass, deftly propelled by Takayoshi Matsunaga’s dexterous fingers. Masao Yoshikawa bombards the combo with his tympani runs and Koji Ueno adds some surface treatment on a synthesizer. That’s all we know after the first several seconds. And then Jun Togawa’s comic operetta swoons on us with her nervous, taut, insoluble histrionics about… the astonishing forces of a magnet. The gravity of the subject is adequately underlined by the grand piano and some synthesizer color. It turns and twists, excited like electro-magnetic forces that this song is devoted to. A definite bow to early Soviet modernism. The 50-piece orchestra forcefully rolls out a passionate Russian dance, complete with balalaika (Yuzo Murayama). Togawa’s voice is over the top, spewing tractor and samovar stories at hyperspeed. In slower, romanticizing moments, her manner evokes Donella del Monaco. Kazuyoshi Utsunomiya on mandolin further approximates this other pole of modernism. The incredible rondo ends on a high note. A more lyrical respite. Togawa’s strained, wistful voice is cheerless and disconsolate. The orchestral strings are clearly illustrative, retrofitted with Chinese zheng strings (Jiang Xiaoqing). A six-piece wind section of flute, oboe, clarinet, bass clarinet, bass trombone and tuba niftily apportions sinified pentatonic bridges that anchor our rhizomatic imagination strongly in mainland East Asia. “200 days” opens with a classic orchestral overture. A soaring crescendo ushers in the dramatic persona of Togawa who cloaks, more than reveals, an uncertain melodic line. The piece sensitizes us to an impending drama with Hitchcockian string arrangements. Togawa returns; first marauding with her baby voice and then with jarring, unpolished complaints of a brat. The full orchestra closes with a salvo from an unusual horn section, including Michiya Koide on 19th c. octavin in addition to English horn, flute, oboes, clarinets, bassoons and contrabassoon. The intro serves another morsel of cinematic dramaturgy. The ever flexible Togawa is supported here by an elusive chorus. 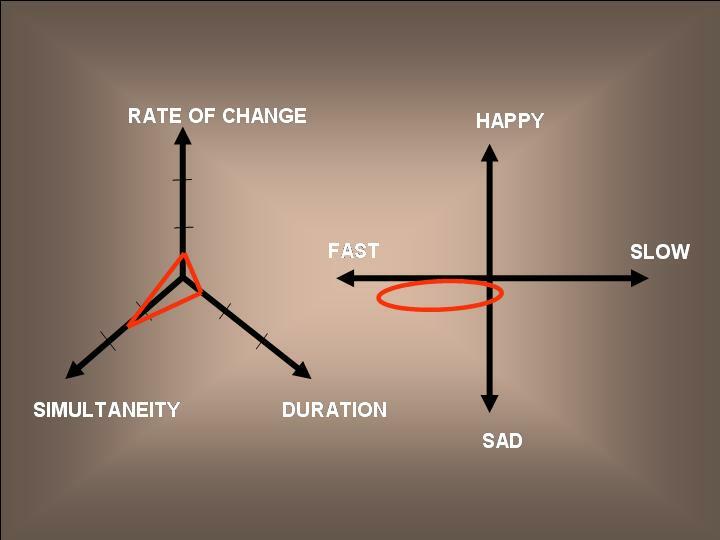 This is an inevitable grande valse, replete with fleeting Straussian quotations. Ueno’s orchestration and arrangements are over-lubricated, which puts it at some distance from other revival records at that time (e.g. Julverne’s “Emballade”). Back to the high-graded, synthesized sound from Guernica’s first LP. The song soars with adolescent enthusiasm about inventive visual devices. An ever optimistic, rotating string section zips through it all with gusto. In a complete change of décor, side B begins with this American vaudeville swing orchestra. Sandwiched between Glenn Miller’s radio days and Ron Pate & Debonairs’ parody days, Guernica surges through the music-hall bacchanalia. Staccato piano intrusions may slow down like a tired locomotive, but quickly cede to Tommy Dorsey-like zestful horn section. If this was not sung in Japanese, one could almost forget how satirical this song is. We learn it all about a cylinder press and how dynamically it revolves – “round and round, round and round”. The pseudo big band chops adroitly between vocal and orchestral sections, but never loses cohesion. We are back to the formula from the first track – bewitching clash between a strained, castrate voice and ultra-speed string section. But now Togawa slides boldly into opera, thrusting with her powerful, dramatic soprano (yes, she can sing, but only sometimes she decides to bray instead). Her voice is blessed with a full tone quality, but her forays are short, though legible enough to make us chuckle at this “Praise for Transportation”. This “Electric Power Medley” is a joyless composition in three movements for a ubiquitous horn section. “Damu no uta”, should, according to the title at least, be a song for shamisen dedicated to a hydropower station. This is a slow-moving narrative with the now familiar recipe of Togawa switching between vocal styles and registers with the ease of a 1930s cast-iron crankshaft. The second movement (“Denryoku no tsûkin”) is rich in tympani and orchestral percussion, almost lifted from the tradition of great Russian romantic composers of Moguchaya Kuchka. Finally, “Denka no kurashi” (“Electrical Life”) is a more melodic fragment with balalaikas and empathetic flute section. In the final stanzas, Togawa’s vocal style abandons the acerbic and malicious manner and turns coquettish instead. Trombones close this least aphoristic of all tracks. This distinctly non-circular waltz throws in Orientalist accents painted by strings of desert-prone ‘Lawrence of Arabia’-type nostalgia. At times, the mood is almost Felliniesque and surrealist, but the reflection is actually Shakesperean; musings on a relationship with a skull. The final track tickles our Pacific fantasy. In a dig to Martin Denny’s Exotica style, Jun Togawa appears with a velvety, hushed voice, singing about “the island at the end of the earth”. From this oceanic foam, oozes Aphroditean harp and idle maracas. Somewhere between Japan and Hawaii, waves lap against the pastel shores. 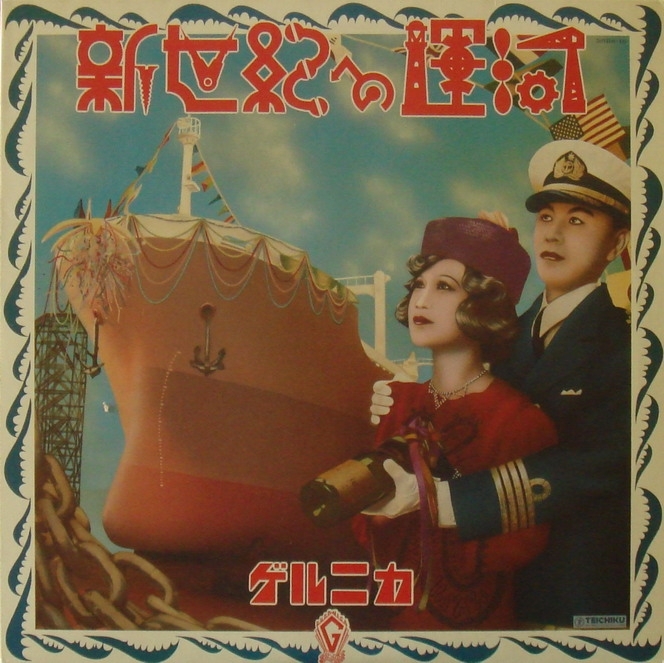 “Shinseiki e no unga” (“Canal to the New Century”) remains the masterpiece of the Ueno-Togawa-Ohta trio. Still, similar revivalist intensity was achieved on three other recordings, each of which is highly recommended. 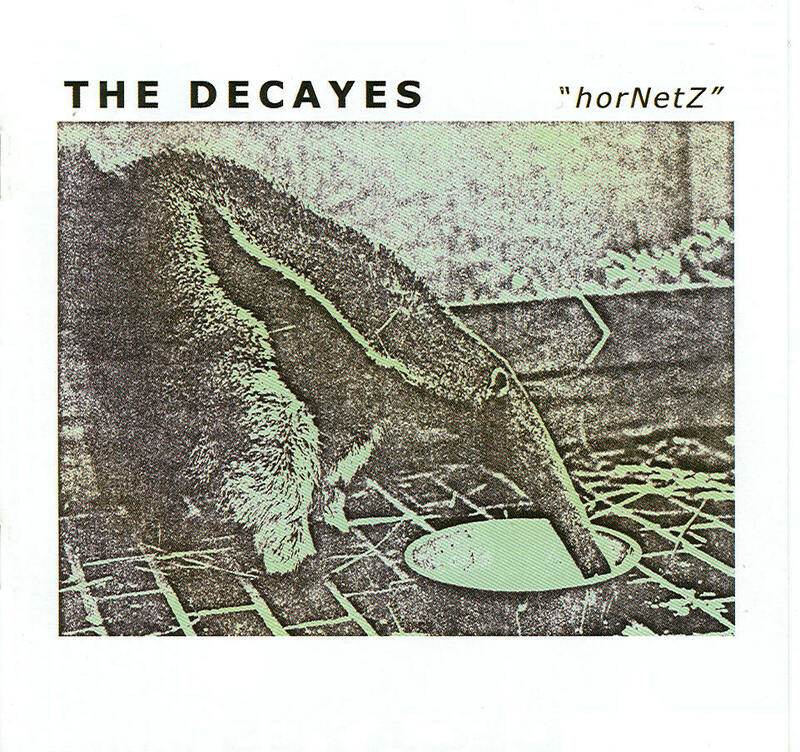 The Decayes were a loose collective centered around Ron Kane (bass, guitar, clarinet, kybds) in Southern California. They grew out of premature garage experimentation in the late 1970s and burst into celebrity among isolated fans around the world. Locally, they could never accrue much following, despite an occasional association with Los Angeles Free Music Society. Their repertoire ranged from primitive, but highly inventive studio experimentation to a more basic, but never commercial song format. Despite the obvious mannerisms of the period, the young musicians were cognizant of the krautrock legacy and Czukay’s studio achievements. For the Decayes, this was work of passion – the tapes were heavily edited, run through feedback devices, spliced and overlaid masterfully, enriching rather than cluttering the musical texture. On “horNetz”, Kane was joined by Warren Bowman (bass, guitar), Mark Florin (kybds, guitar), and John Payne (drums, perc). The record opens with a fanfare and a female grandiloquence in Dutch. Snare drums roll and euphoniums fart. The pomp swells further when a male commentator chimes in. Cut! We are listening to the band now – the drumset recorded with a rhythm-box regularity, bass, hypnotic but flatly sounding electric guitar, and the (oh-so 1980s!) clarinet. Voices crawl in the background. The double reed licks and the incisive guitar figure will keep this riding fragment on a roll. Against a very Doors-ian organ in high register, we are facing a fast-paced sardonic recitation about “breeding in captivity”. It receives a well-suited, simple support from the clarinet, the rhythm section and a very sparse guitar. One feels some (accidental?) affinity with C.W. Vrtacek’s early recordings. Snippets from TV series (dad and daughter bicker about a robot) are purposefully humorous. We hear more harmonic electric organ, and dialogues on fast-played tapes. It is almost “Lumpy Gravy”, minus the giggle. Honky, high-pitched organ appears here next to a hollow sounding amplified guitar. The rhythm section is very bare bones. Our attention is brought to the comic selection of tapes with recordings in American English and French. They are long enough to convey the meaning of entire sentences and the self-righteousness of some passages indicates that some must have been at least two decades old at the time of the recording. Some other natural effects are more heavily processed at varying speed, but without overkill. The rhythm section, chicken organ and sometimes clarinet keep it all in place. This really sounds like some loser who really can’t sing is spewing out his frustrations in what could stand for a sci-fi instrumentation two generations ago – all complete with space organ and clarinet. Not much else is happening in the stanza-refrain formalism, even if it’s ironic. Expressive bass line is what keeps it going, almost funky-way, against a busy “A Certain Ratio” type of John Payne’s percussive lead. One wonder if this is the track with Dennis Duck of LAFMS. There are screams form the clarinet, sustained notes from a cheap synthesizer, choking guitar cracks, a cuckoo clock and some taped voices again. But overall this is a driven post-punk-funk that’s too lean to fall into superfluous complexities. At the end, the instruments get un-tuned – almost the opposite of an orchestra warm-up. Spooky march that could easily find its way into Residents’ “Commercial Album”’s instrumental parts. This is neither a pastiche nor a tribute, but does exemplify just how influential the San Fran giants were. The guitar is 100% Snakefinger, the rhythm section is stomping on a Warren Bowman’s basso profundo, but not as succulent as Jah Wobble’s. All the while, some maniac is yelling his soul out, echoed only by crows. It fades out nicely. There was something about the lyrics written for the wave of electro-pop in early 1980. For whatever reason, outside the ubiquitous balladry at least, most songs married the Bowie/Ferry crooning with post-punk assault by writing the stress on the first syllable of each line. This is the manner that the Decayes ape here, successfully, so to speak. Luckily the reed “section” remains disciplined, providing both the harmonic line and more dynamic upswings in higher registers. Ron Kane proves he can play the clarinet. No, not Eric Dolphy’s immortal classic. Rather, this is another fast-paced chorus on a tight bass-drum railroad. The clarinet squeals and squeaks, but does not fundamentally alter the formula-bound score. It starts heavier, with a less uptempo drive. Clarinet and acoustic guitar punctuate a mixed-down landscape with multiple male voices. The clarinet occasionally bleeps in the range where it loses its distinctiveness. But this is not a virtuoso record and should not be held to such benchmarks. Intrusions of taped elements seems to play an imperceptibly rhythmic role, albeit on a larger scale. Two basic chords are busily repeated by the right hand, but they quickly loses projection, and become subordinated to other electronic sounds, rhythm machine, wooden-sounding guitar clicks. Another hasty number. The untrained vocal ensures us repeatedly about the wisdom of the title statement. Wooden percussion adds some color. Lovely electric piano somehow survived from the previous decade, nudging its way among honking buses and other (automotive) garage noises. The keyboard (Mark Florin?) has a rounded, warm timbre, here contrasted with the street noise and the drumstick hesitating between the drum frame and instantly muffled cymbals. The tapes are, this time, very gracefully selected and make this into the most nostalgic moment on the record. Shuffling steps and some engineering work in the workshop stays on during the passages devoid of the electric piano. A testimony to the musicians’ rich, synesthetic imagination. Dudley Moore’s song from movie “Bedazzled” is a very simple organ-drum-bass trio on a quick, chunky bus tour. 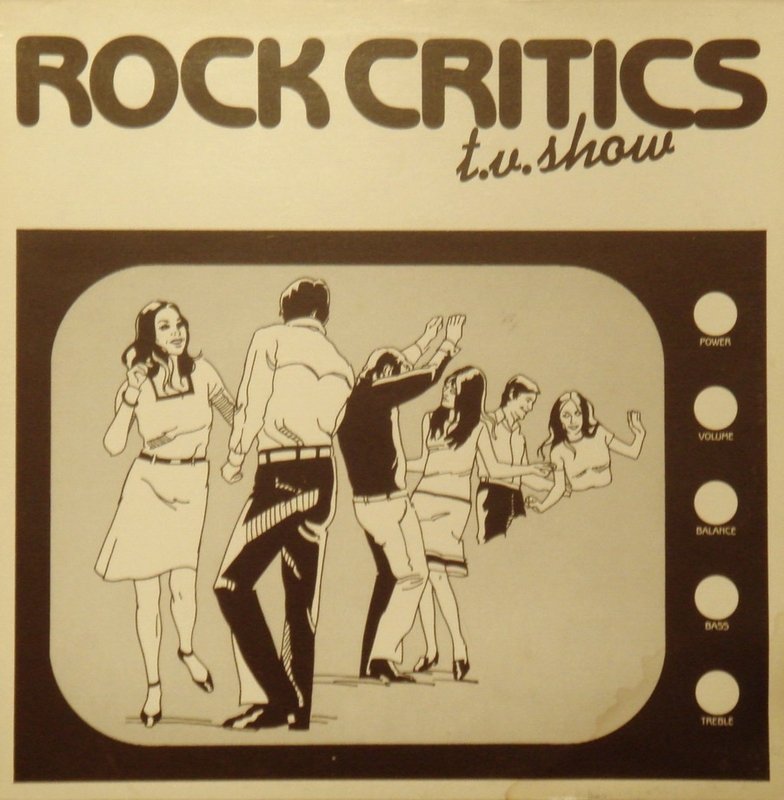 Back in the 1970s, this could be a theme for any TV show, but now it would probably qualify for Aavikko’s CD. The record closes with an effect of a tape fast moving audibly through recording heads. The next four tracks do not belong to the original LP, but appeared as bonus tracks on the CD reissue in 2004. This one is a choppy instrumental based on the same trio formula as some of the simpler tracks on horNetz LP. It speeds up towards the end. Sketchy song alluding to the then state of the record business. It is very organ-based, with the same predilection for the contrast between the sizzling tone quality of the keyboard and the mixed down rhythm section. Again, a very ‘residential’ melodic guitar snakes through the repetitive pattern. The romping sound almost calls for “London’s Burning” scream, but instead we get a lilting, optimistic guitar figure and a hapless voice that would not be out of place in the UK scene that worshipped such declarative singers at that time. Excellent vignette for multiple guitars in high tuning. The guitars go around their business in flat, dry fashion, occasionally stopping to hear the response from the drummer. This is an intelligent construction, without being flashy. The Decayes’ originals are hard to come by and I am yet to hear all of them. Their debut crept into Steven Stapleton’s notorious list and thus vanished entirely from second-hand market. It is highly recommended.